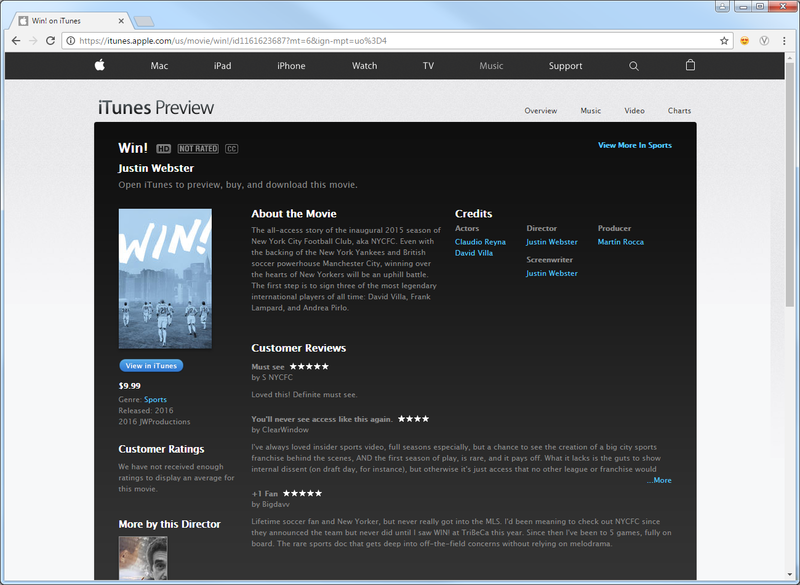 Win!, the behind-the-scenes documentary of ramp up to the club's first season, is now available on iTunes. I've heard a lot of great things about this film. Can't wait to finally see it.